What a difference God makes! The Little Sisters of the Poor have seen countless prayers answered in miraculous ways since they began serving the elderly at the St. Augustine Home for the Aged in Indianapolis in 1873. For 137 years, the Little Sisters who minister in Indianapolis have sent heartfelt prayers heavenward and trusted that God will provide for the needs of the elderly poor dependent upon their care. The sisters also pray to saints for intercessions, especially Mary, St. Joseph and now St. Jeanne Jugan, who founded the international order in France in 1839. Since Pope Benedict XVI canonized the French nun during a Mass on Oct. 11, 2009, at St. Peter’s Basilica in Rome, the Little Sisters in the United States and 30 other countries have been able to educate many, many more people about her humble life and mission of providing love, respect and care for the aged and infirm. It is “a joy” to tell people about their foundress during parish visits, explained Sister Margaret Knebel, the donations coordinator and begging sister. A native of Holy Family Parish in Jasper, Ind., in the Evansville Diocese, Sister Margaret came to Indianapolis last December from St. Martin’s Home for the Aged in Baltimore. And so Margaret Knebel’s life of charity began with a simple act of charity. “That was my introduction to the Little Sisters,” she recalled. “I knew almost from the first moment I walked in the door that somehow or other the Little Sisters would be part of my life from then on, but I didn’t realize at that point that I had a [religious] vocation. That realization came a little later, but I knew there was something special about the home. After volunteering at the home for several months, she told the superior that she felt called to religious life and ministry to the elderly. After completing her postulancy in the U.S. and novitiate in France, she made her final profession in 1989. She also served at the Little Sisters’ home in San Francisco and former home in New Orleans. “The people in central Indiana have been extraordinary in their generosity to this home,” Sister Margaret said. “Some of the businesses have been giving to the Little Sisters for years and years. It’s like a big family. Prayer is our way of thanking our benefactors and volunteers. We pray sincerely for those who are so good to us. Members of the St. Augustine Guild, the Association Jeanne Jugan, advisory board and committees are so good to us. The time they devote to helping us with fundraising and other needs is amazing. “It’s an inspiration to me to see the generosity of people because time is our most precious commodity,” she said. 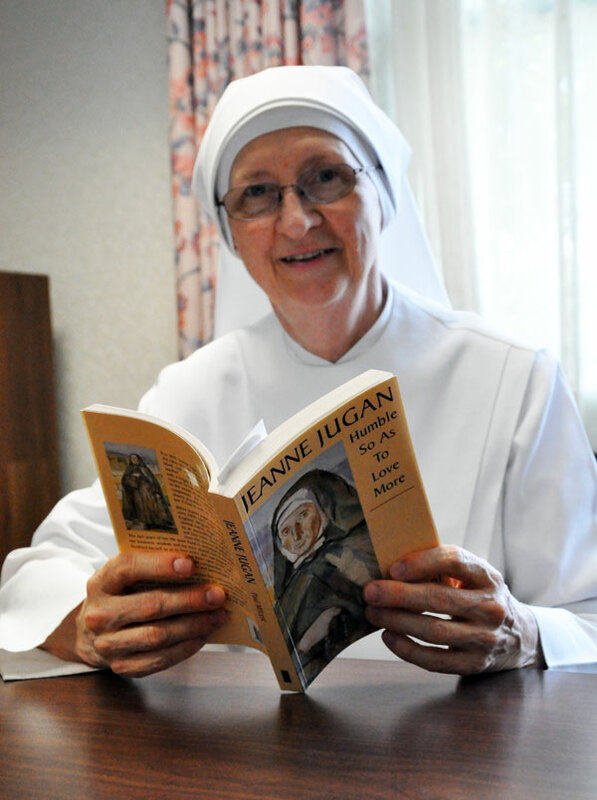 “We only have so much time, all of us, and to see all these wonderful individuals embrace the mission of St. Jeanne Jugan and to be so willing to help us in so many different ways is really beautiful. 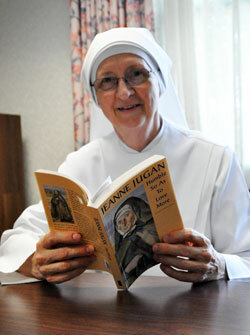 One of Sister Margaret’s favorite stories about St. Jeanne Jugan is how she would place her unwavering trust in God.